The beginning of the Stone Age in Africa dates back at least 2.5 million years and it was an especially important era, not only in the history of Africans, but for all humanity. There are, however, many gaps in the archaeological record of Africa, especially during the late Pleistocene period, but the Mumbwa Caves in Zambia are archaeologically significant and have helped archaeologists to reconstruct the history of prehistoric Africans. In the Kafue National Park, the three Mumbwa caves are located at an elevation of 1000 feet (300 meters), with the largest cave known as ‘the main cave’. Being relatively inaccessible, they would have provided both humans and animals with protection and sheltered accommodation. From the biological materials found in caverns, it is believed that the caves were inhabited during interglacial periods when early people immigrated into the area from further north, a move that had also occurred at other sites. 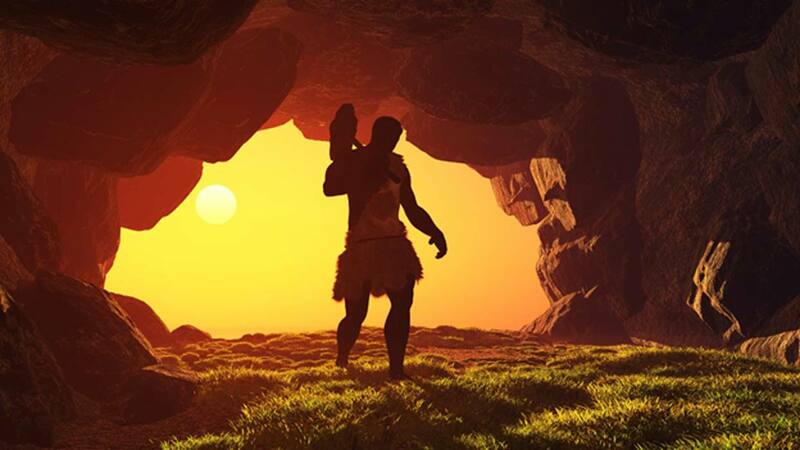 Although Early and Middle Pleistocene humans lived in the caves, they were deserted for periods of time when the environment became drier and more arid. The caves were used by humans as late as the Iron Age . The sheer length of human occupation at this site make the Mumbwa Caves an important as well as a fascinating study. The caves were recognized as historically significant during the European colonization of the territory, when Zambia was still Northern Rhodesia . A range of artifacts from several eras were found during excavations carried out by European archaeologists from the 1930s to the 1990s, during the colonial era. In the Mumbwa caves there are several layers of archaeological materials. The layers nearest the cave floors are associated with the Late Stone Age and Iron Age. Among the finds in these layers was a remarkable stone ax as well as several spherical stones - the purpose of which is still a matter of dispute. Evidence of the manufacture of pigments has also been found. At lower levels a series of bone and stone tools have been unearthed dating from the Late Stone Age and finds support the theory that at least some of the caves were used for the production of Stone Age implements. The caverns were also used for human settlements and the Late Stone Age people who lived there adapted the caves by creating windbreakers and hearths so that they could warm the area at night. It would also have allowed them to cook and have light. The caves give visitors insight into how Stone Age people lived and how early people were able to successfully adapt to their environment. The first residents were Pleistocene era animals, many of which are now extinct. During the later Stone Age those who inhabited the caves were Bushmen or San , known locally as Kwengo. This culture flourished all over southern and eastern Africa until the 9 th and 10 th century AD. The people were hunter-gatherers and semi-nomadic. There are still groups of San people, especially in Namibia, who have maintained their lifestyle to this day. While some experts believe that the caves were used to manufacture stone age weapons and tools, others dispute this. It is also speculated that the caves were inhabited by the Bushmen until the arrival of Bantu-speaking pastoralists. They came to dominate the region which later became Zambia. It was at about this time that the caves were abandoned, although the local people were aware that ancient groups had lived in them. The caves are about 100 miles (160 km) from Lusaka, the Zambian capital. They are located in the Kafue National Park which is famous for its wildlife and there is a great deal of accommodation near the Mumbwa Caves. Visitors can take one of the many guided tours of the park and enjoy many activities, such as a safari. It may, however, be necessary to hire a guide to visit the caves as they are remote and difficult to locate.